Menopause is the time in a woman's life where her body makes the transition from being fertile to infertile. As it undergoes this transition, the body hormonal changes. The three hormones that are active during menopause are estrogen, progesterone, and testosterone. Fluctuations in these three hormones cause all the changes that take place in your body. 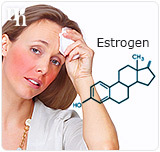 Estrogen replacement therapy (ERT) is a medical technique that is frequently used to combat the symptoms of menopause, which are cause by estrogen imbalance. Read on to learn more about estrogen replacement therapy, and how it can help during menopause. What Is Estrogen Replacement Therapy? 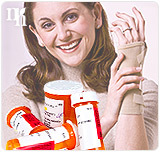 ERT is the medical procedure that involves the introduction of synthetic hormones into the body. Estrogen works alongside the body's level of natural hormone and prevents the onset of the unpleasant menopausal symptoms such as hot flashes, night sweats, loss of libido, and mood swings. How Does ERT Help during Menopause? ERT helps hormones which are in a state of flux during menopause, and prevent the symptoms of this transitional phase. Not only is it an effective solution, but it is one that has immediate effect. Unlike alternative remedies or lifestyle changes that can be implemented to combat the effects of menopausal experience, ERT has immediate relief. What Are the Advantages of ERT? Estrogen replacement therapy can be an effective way of treating the unpleasant symptoms of menopause. However, recent studies have associated this treatment with dangerous health risks and side effects. For more information, and to make an informed decision regarding the possible estrogenic methods, click here.